In this article, you will learn about the history of C++ programming language. History of C++ from its inception to its evolution and the person behind the creation of C++. 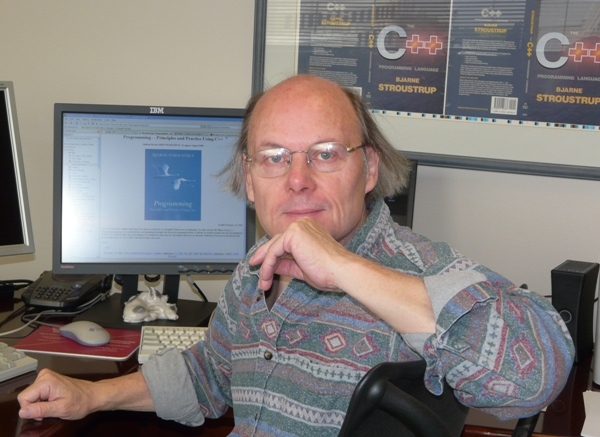 The mastermind behind the inception and development of C++ programming language is Bjarne Stroustrup. He developed C++ at AT&T Bell Labs, which he was head of till 2002. Now let’s gain insight on how C++ was developed and how it has evolved over the years. Let’s start with a brief history of C as C++ is called the successor of C programming. C programming language was first introduced by Denis Ritchie at the AT &T’s Bell Laboratories USA in 1972 and was implemented for the first time in DEC PDP-11 computer. Denise Ritchie used the concepts of BCPL and B to develop C and added data typing and some other powerful features. The inception of C++ programming language began in 1979 when Bjarne Stroustrup was working in his Ph.D. thesis. During that period Stroustrup used to work with Simula (regarded as the first language to support OOP paradigm). Fascinated by object-oriented approach Stroustrup thought of implementing this paradigm in software development, however, the Simula language was far too slow for practical use. So he began working on C with classes i.e. he started working on a new language which would have object-oriented paradigm mixed with the features of C programming language. In 1983, it was named C++ and it included some add-on features such as classes, inheritance, in-lining, default function arguments, polymorphism, encapsulation and strong type checking. The first commercial edition of C++ programming language was released in October 1985. Here is the infographic depicting how C++ has evolved over the years. As you can see in the infographic above, it all started in 1979 when Stroustrup started working on C with classes. In 1983, this language having features of C with classes was renamed to C++. The ++ operator in C++ means the incrementor or successor of C programming.In 1985, first commercial edition of C++ was released. The language was yet to standardize. In 1998, the standard committee of C++ released the first international standard ISO C++ 98. In 2003, the C++98 was revised fixing the bugs and the name of the revised language was dubbed as C++03. Similarly, C++11 and C++14 are the another revised versions of 2011 and 2014, where some new modules and regular expressions were introduced in C++. So this is all about the history of C++ from its inception to its revolution.